Las Vegas museum - art, history, animals, nature, other museums. Las Vegas has in fact also a range of museums for those who are interested in history, art, celebrities and animals, etc. 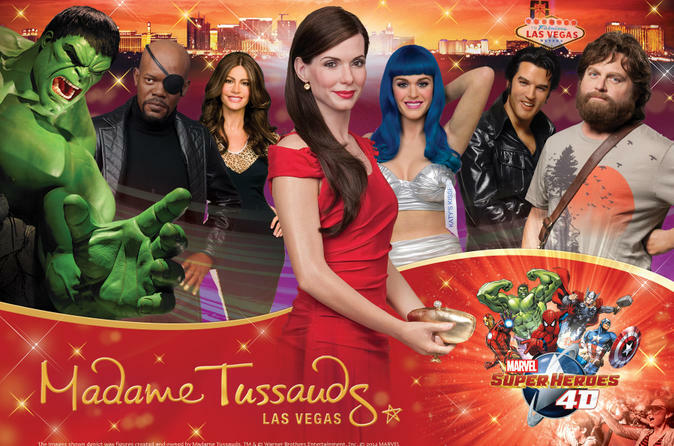 The world known wax museum you also find in Las Vegas. Here you can meet different celebrities. The most well known celebritie is, of course, Elvis Presley, which had its best times right here in Las Vegas. You will also find the American Idol jury, George Clooney, Matthew McConaughey, Marilyn Monroe, Neil Armstrong and many many more. One of the biggest children museum in the U.S. where children and adults can experience art and science. Here you can spend a whole day. Here you'll find a glittering museum dedicated to the world known Mr. Liberace. Here is his famous costumes, pianos, fantastic cars ... yes, everything you can imagine. As most cities you also find an Art Museum in Las Vegas with various exhibitions of paintings, prints and design, etc. Animals and nature with dinosaurs, whales, sharks, animals in Nevada, African savannah and rainforest. Go on tour at Shelby Automobiles and look at some of the world's most famous cars from model Cobra CSX2000. One of the world's worst invention - the atomic bomb - have left its mark in history and in our environment. In Nevada, many tests have been done for about 50 years, how has the atomic bomb affected people, nature ... yes, the whole world? 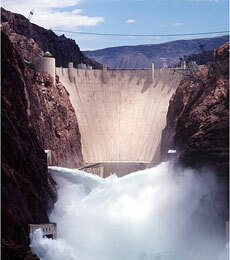 Just outside Las Vegas is perhaps the world's best-known dam - Hoover Dam. This major construction project attracted many American families into the Nevada desert to get a job. It was the great stock exchange crash and depression during the 30s that led many to search their luck here. How was it to live here, in the middle of the desert during the 30s? In the museum there are stories told by those who lived here, photographs, mementos, and of course the great project Hoover Dam. A historic place to visit. Boulder City is located about 30 minutes from Las Vegas.